For all those who like a nice Sunday roast - this Sunday, 3 pm, Keith’s Roast lamb and all the trimmings followed by a home made pudding - all for only £10! Tickets behind the bar and going fast - get your name down now! Next Saturday, 4th, is Race Night - with horse and dog races being shown on the big screen in The sea room. You could be a winner!! If you’re coming it would be useful to put your names on the list behind the bar - as Tizzie will be doing some free nibbles half way through the evening and numbers would be helpful! Looking further ahead, it's the Forts Race Party on Saturday 18th May. The Blues Bandits will be performing, and there'll be a BBQ and drinks promotions. All members welcome! We're planning a Beach Tidy Working Party this Saturday from 10am. The focus of this working party will be tidying up the beach, including moving boats to the correct rows, fixing or replacing tie downs if needed, and disposing of some of the scrap. If we have enough volunteers, there will also be a ramp clean. Please come along on Saturday 27th to help tidy up our beach boat parking! Following the busy Easter weekend, a couple of items have been mislaid from the Gents changing room. A pair of men's Neil Pryde zip up hiking boots size 8/9 which may have been picked up by mistake. Also, a Typhoon Max B dark grey, front opening dry suit. Please contact the office via email sailing.secretary@wyc.org.uk if you come across them. 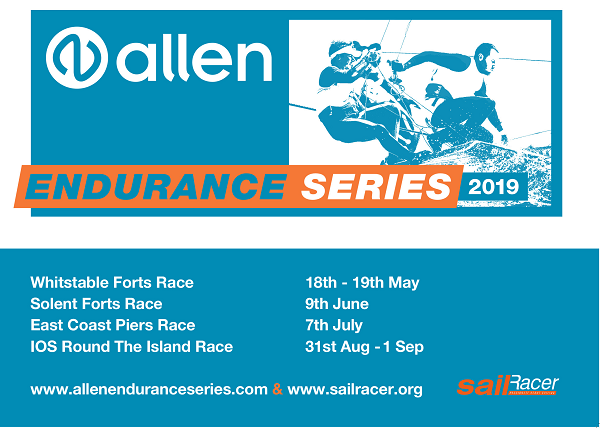 It's the 2019 Forts Race weekend in just under a month, and we need some volunteers for Safety Boat Crew and some onshore support on both Saturday 18th and Sunday 19th May. Can you help? No experience needed! Contact Robert Govier at rear.comm.sailing@wyc.org.uk if you can help out. It is with great regret pass on the news that Heather Scott, a long standing member of WYC, has died. A funeral service will be held at 12 noon on Friday May 3rd at All Saints’ church. A reception will follow at Whitstable Yacht Club at 13.30pm. Congratulations to our cadets on their successful RYA Dinghy Instructor Course! Madeleine Bryan, Hugo Eaton-Baudains, Harry Newton, Tom Oliver, Alex Wilson, Craig Windridge (BSC). The Cadets were very fortunate to have in HBSC member Laurie Dengate an excellent RYA coach for the five day course. This followed two prerequisite training and practical assessment days which Laurie also directed in November and December. The standard was set high, the candidates worked tremendously hard throughout the week, generally not finishing until 7.30 pm, and were assessed on the final day by RYA development officer Sam Rowe. At the young age of 16-17 their success, individually and as a team, is particularly impressive. One of the six candidates is a Broadstairs SC Cadet. 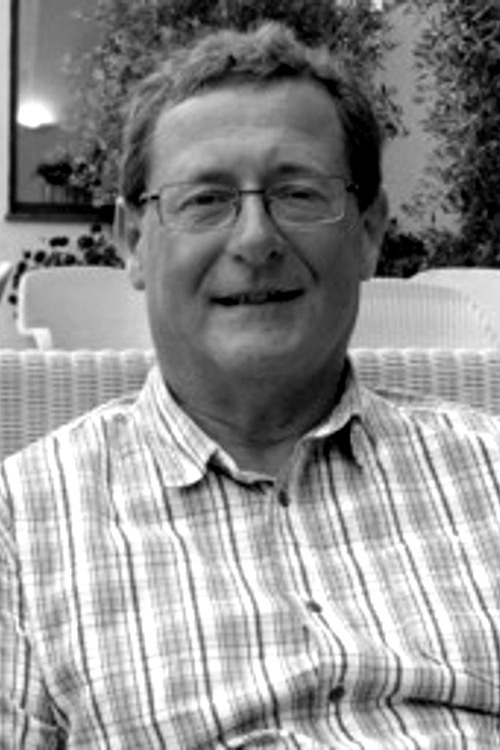 Graham Silsbury, BSC Principal has written, "We are thrilled with Craig's success. Thanks to WYC . . .for running the DI course and I'm delighted we have got this group of young DI's in our sailing area. Please pass on my thanks to all concerned." We're planning a Beach Working Party on Saturday 27th April from 10am. The focus of this working party will be tidying up the beach, including moving boats to the correct rows, fixing or replacing tie downs if needed, and disposing of some of the scrap. If we have enough volunteers, there will also be a ramp clean. Please come along on Saturday 27th to help tidy up our beach boat parking! 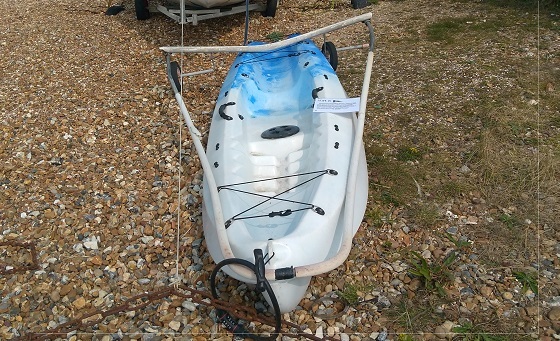 There are two kayaks and one topper on the beach without any identifying marks or signs of recent use, which need to be paid for and labelled or moved. The two kayaks are locked down and the Topper has a broken trolley. They have been tagged and the recognised RYA disposal process has been initiated, in accordance with the WYC Boat Parking and Equipment Storage Policy. In addition, if the kayaks are not identified and/or moved by 15th May, the locks will be cut and they will be moved to an alternative location as they are blocking access to boat parking spots. If you are the owner, or recognise this equipment, please contact the office. Please ensure that your equipment is in good repair, labelled appropriately and stored in the correct place. As per the WYC Boat Parking and Equipment Storage Policy, the numbered sticker confirming payment for the season and ongoing membership MUST be clearly displayed on the equipment. The boat must be parked in the allocated row and where appropriate in the designated position as defined by the parking plan and agreed with the Class Captain. Changes to any allocation must be agreed with the Class Captain and the Beach Master as appropriate. Any kit that is not displaying the appropriate identification and payment confirmation may be removed. Boats must be stored on a serviceable trolley (and/or trailer if relevant) such that they can be moved in accordance with the conditions in the policy should that be necessary. 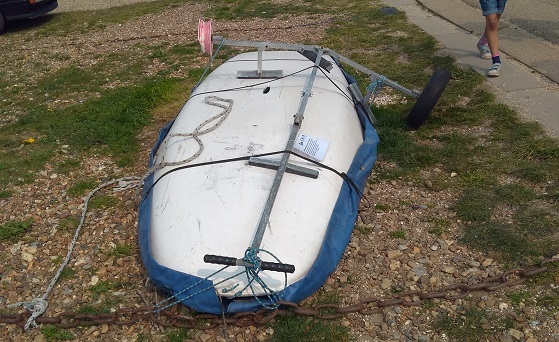 Trolleys, trailers, covers and any other equipment left on the beach when you go sailing must also be clearly labelled with your sail number and name to aid identification in the event of an incident. Are you looking for a new way to get outdoors and active or find something you can enjoy together with the family, or do you know someone who is? If the answer is yes, come and join our family fun day at Whitstable Yacht Club on May 11th. Whether you’re completely new to the sailing, looking to get back on the water or just want to give it a go, here’s your perfect chance. Running between 12noon and 5pm on Saturday May 11th there will be seasoned sailors on hand to offer information, answer questons and show you the ropes. Joy rides run between 12noon and 4pm and should be booked in advance by emailing training@wyc.org.uk. Note: Joy Rides are weather-dependent and open to participants 8 years and older. For more information, see wyc.org.uk/site/OpenDay. One of our members has mislaid a RIB grab-bag containing essential safety items. The dry bag is royal blue and approximately 60cm tall. 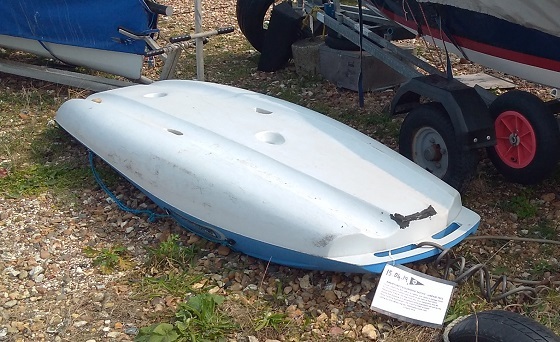 If anyone has come across it or knows where it has been stored, could they please contact the office by email to sailing.secretary@wyc.org.uk. Book your place on the 2019 Forts Race start line now! Entries before 10th May will benefit from a reduced entry fee. Go to enter.sailracer.org/events/enter-series-mobile.asp?eventid=213798 to enter. The event is now open to all dinghies and sports catamarans with a PY rating of 1270 and lower (note: Paddle boards, windsurf and Kite surf entry not permitted). Competitors under the age of 18 must have signed permission from parents and or guardians and if under 16 must be sailing with an adult. The long-distance race will be sailed in the area off Whitstable Yacht Club with up to FIVE radiating “legs”, East to Herne Bay Pier, North East to the Kentish Flats Wind Farm, Northwest along the coast of Sheppey, West up the Swale Estuary and North to the Red Sands Forts – only double handed Fast Cats will make this leg. As well as the sailing, we're hosting the Forts Race Party on Saturday 18th May with a barbecue, live music and amazing drinks promotions. 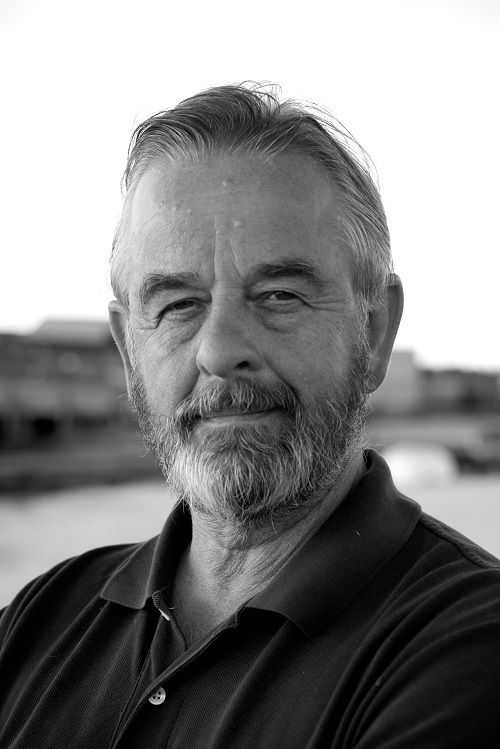 New WYC Commodore: Kelvin Tolson. “I retired as Commodore at the WYC Annual General Meeting on Saturday. I am very pleased to inform you that I have been succeeded by Kelvin Tolson, who I believe will be an excellent successor. General Committee members: Maureen Bush, Terry Davis, Fef Griffin, David Figgis, Tizzie Lambert, Richard Ledger, Richard Maltby and Ian Wild.